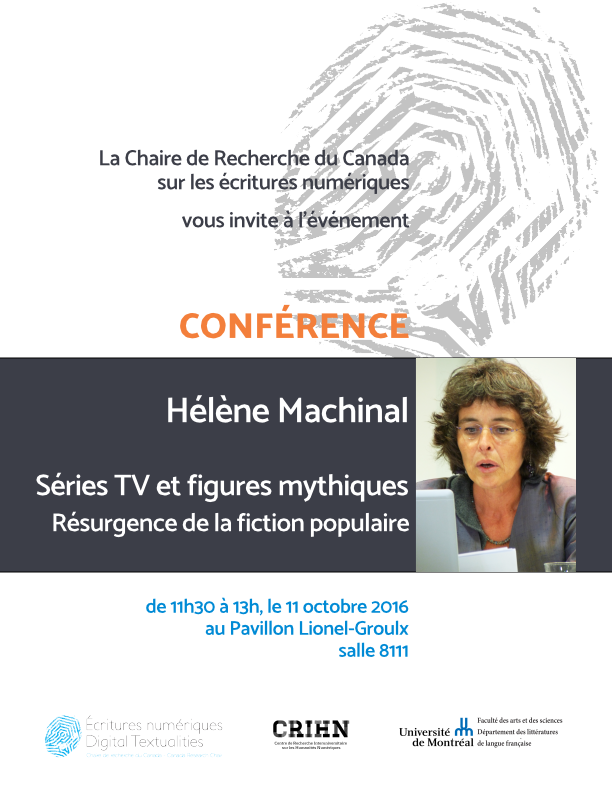 This session will focus on TV shows and seriality phenomenon. This matter will be looked at from the point of view of a minor fictional expression linked with fiction and popular culture. Have TV shows replaced serial fiction and/or feuilleton from the end of 19th century?How do we explain the resurgence of mythical figures from the end of 19th century such as detectives, vampires and mad scientists in our era and in our screen culture? Why does contemporary fiction recurrently represent the humans transformations? In what ways are TV shows symptomatic of tensions which cross and animate the contemporary cultural production?